The holiday home is situated on the L11 in the catchment area of ​​the health resort Krakow am See has 140m² of living space on a 600m² large plot. The rental price includes use of the swimming area, the boat rib and a rowing boat, The kitchen, dining and living area in the basement of the house is laid out bright and overlooking the lake. In the open kitchen area with a stove, fridge-freezer and dishwasher are integrated. In the dining and living area TV, radio and a fireplace. The ground floor has a guest bathroom with WB, WC and shower. The upstairs bathroom is space intensive additionally equipped with a bathtub. Furthermore, there are three fully furnished upstairs bedrooms, which are each equipped with two beds and can be used as a righteous desire double bed or two single beds. Two of the bedrooms have direct access to the loggia. Pets and smoking are not allowed. Resort Krakow am See: Our cottage is located on the Krakow Lake with access to the pier and swimming area. The center of Krakow am See is about 2km. This path can be traveled by bike or car, as desired to walk well. The city of Rostock / Warnemünde is good and easily accessible via the A19, as well as the Barlachstdt Güstrow or Plau are easily accessible on the lake via the B103 Marlow or even with its bird park. Things to do in the area within a radius of Krakow am See there are many opportunities of leisure and recreational activities. 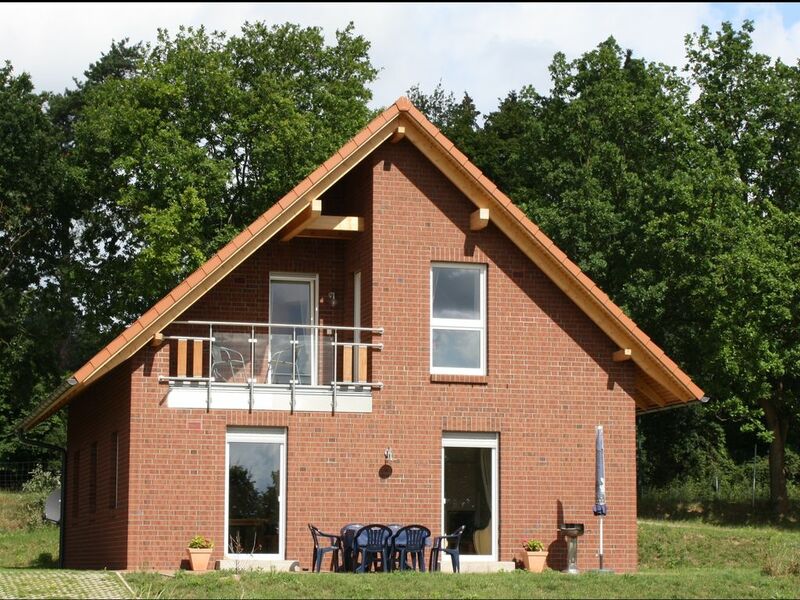 Getting there: The address of the house is the Kuchelmisser Chaussee 4 18292 Krakow am See. You can access these from the north and south on the A19 motorway in the direction Kuchelmiß Krakow am See on the L11. After about 10 km, the L11 kreutzt the B103. Approximately 100m before the intersection on the left is the small cottage area. About the A20 from the west via exit Satow / Bützow continue on the L11 over Bützow, Prützen, Lohmen towards Krakow am See are always on the L11 towards Kuchelmiß. After the junction of the B103 in the direction Kuchelmiß in about 100m on the right is the destination address. The kitchen, dining and living area in the basement of the house is laid out bright and overlooking the lake. In the open kitchen area with a stove, fridge-freezer and dishwasher are integrated. In the dining and living area TV, radio and a fireplace. The ground floor has a guest bathroom with WB, WC and shower. The upstairs bathroom is space intensive additionally equipped with a bathtub. Wir haben einen tollen Urlaub in diesem schönen Haus am See verbracht. Der Vermieter war sehr nett und freundlich. Large house on Lake Krakow.